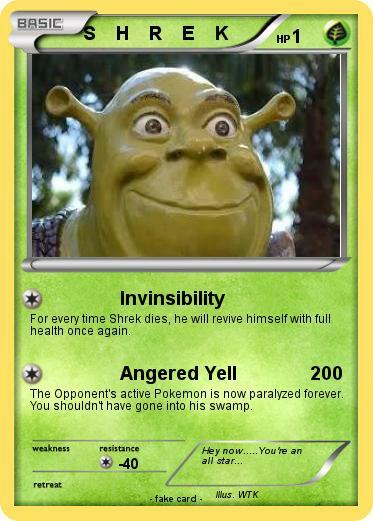 For every time Shrek dies, he will revive himself with full health once again. The Opponent's active Pokemon is now paralyzed forever. You shouldn't have gone into his swamp.